For football enthusiasts, they will have no hesitation in telling you about the Manchester City F.C. as their history goes way back to 1880s. They were originally known as the St Mark’s, then following this, they were named the Ardwick Association Football Club to eventually be known as the Manchester City F.C. by 1894. Those who have followed this club, they will note that their most famous time period was in the 1960s and the beginning of the 1970’s, because during this time period they got recognition for winning several titles and events. In 1981, things turned for the worst and they lost the FA Cup final which sent them on a downward spiral for the next several years. Things eventually turned around for the club when they were sold in 2008 and then went on to become one of the wealthiest football clubs in the world. The City of Manchester boasts proudly of this football club and has every right to do so. Among the many major titles and events they have held in recent years, they are recognised for the Premier League of 2012 and 2014. Overall, looking at the wealth of football leagues worldwide, the Manchester City F.C. is rated as the fifth richest league in the world. 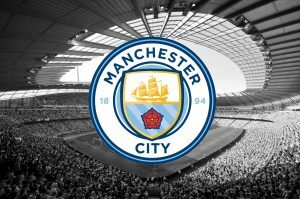 As proud as what the fans are of the Manchester City F.C., this club is equally proud of their support team which is the Manchester City F.C. Sierra Leone Branch. This support team wears the colors of the head team and does so with pride. Throughout the years, there have been many great football players that have participated in the Manchester City F.C. with some being inducted into the Manchester City Hall of Fame, as well as the National Football Museum Hall of Fame as well as several others.